You do not have many options and choices if you have partially or wholly broken or fractured teeth. The two most readily available solutions are dentures and dental implants. While dentures are more common and more manageable, they have several drawbacks which can be covered by dental implants. Dentures require periodic readjustment and refitting. And they also require replacement at intervals. But getting a dental implant is a permanent solution as it will last for years and sometimes even for a lifetime. Dentures require daily care - removing them at night, and cleaning and so on. But with dental implants, it is as simple as brushing your teeth. Implants are much easier to maintain when compared to dentures. Dental implants do not feel any different from having real teeth. Dentures on the other hand, cause discomfort. 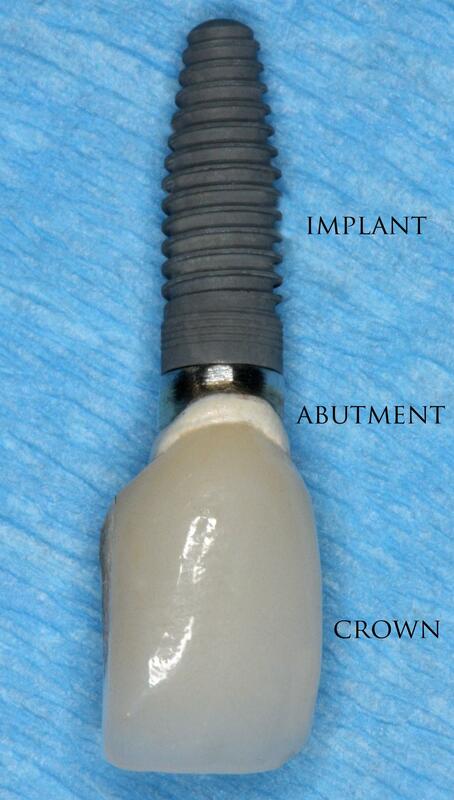 A dental implant may take some time to get used to, but once you are used to it, you would not even notice it’s there. With dentures, there is always a risk of dislodging of the denture or it getting removed. Especially while eating hard substances, you need to be cautious if you have dentures. Compare that to a dental implant, where you will not face any sort of discomfort while eating anything you want to. Dental implants provide support to the surrounding teeth as well, which dentures do not. People who wear dentures are at a higher risk of cavities and other oral diseases. Wearing dentures for long period of times can also cause bone loss which can lead to other severe complications. Dental implants do not have any such risks associated with them, and are therefore a better choice.